Compact, this handsome tree is considered a dwarf for most gardens. It has a dense, oval form and very dark green, rigid needles, 3-3 ½in. long, in 2s. Shoots are white. Beautiful cones are 2-4inches long, cobalt blue the first summer, ripening through purple to orange-brown the second year. 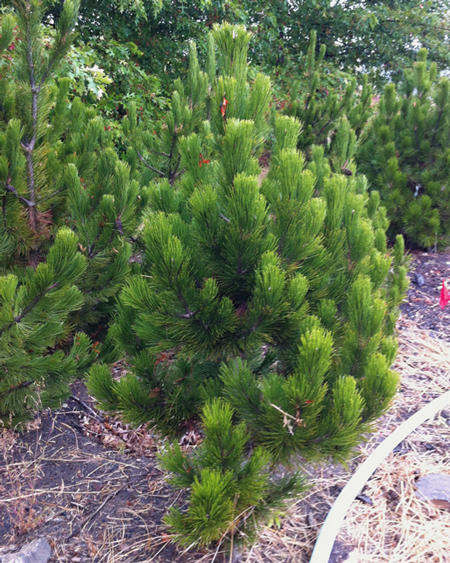 The Bosnian Pine is choice for the alpine garden or in other settings where it can be appreciated. Provide good drainage, sun, and some supplemental water in dry areas. Conifer Size 3 ft. 4 ft. 6 ft. 7 ft.12 ft.